Illinois, you may want to stay on this side of the river. Only Tennessee and Oklahoma are worse states than Missouri to live in, according to a ranking from CNBC. The new ranking puts Missouri toward the top of a list of "quality of life laggards" struggling with high crime rates, few local attractions, poor healthcare and the environment. "If you call one of them home, you may disagree," say Scott Cohn and Betsy Cline of CNBC. "But by the objective measures we consider in our quality-of-life category, these states have plenty of room for improvement." Out of 300 possible points assigned for quality-of-life indicators, Missouri only earns 73 points, according to the CNBC ranking. The study blames Missouri's low scores on high crime rates, poor health and high pollution, especially when it comes to air quality. Even the best thing CNBC could say about Missouri is absurdly awful: The state is releasing fewer toxic chemicals. 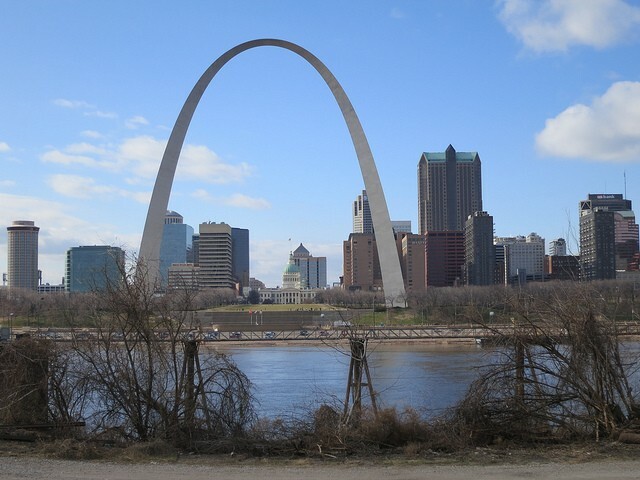 "There's no shortage of things to do in places like St. Louis and Kansas City," the study admits, "but visitors are not rushing to Missouri to do them." Missouri and St. Louis have both gotten the short end of the stick when it comes to national rankings: -New Study Lists 10 Suburbs to Move to Because St. Louis Has "Bad Reputation" -Missouri is 9th Worst State in U.S. for Working Moms -St. Louis Has the 8th Worst Potholes in the U.S.